A State with more mountains than buildings, more wildlife than people and more glaciers than stop signs, Alaska really is amazingly different, with the tallest mountains, the largest area of national parks and the longest stretch of coastline in the USA. Alaska is a place of sheer magnificence. Travel by train and enjoy the picturesque landscape of your journey through the state. 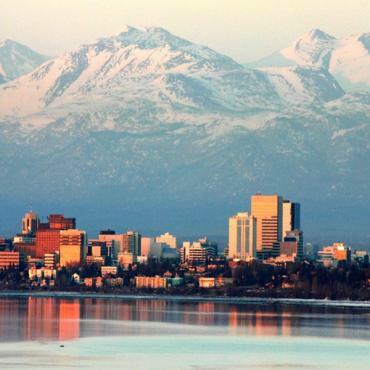 Anchorage, the home of more than half of the population of Alaska is known as both the City of Lights (winter) and the City of Flowers (summer). It possesses all the cultural amenities and activities one would expect from any urban centre, but this one just happens to be surrounded by an awesome wilderness of mountains and valleys, glaciers and fjords, active and inactive volcanoes. At first mention, Anchorage may stir up visions of igloos and Eskimos, but Alaska's largest city is nothing like that at all. Much warmer than you think, in the summer it sees an average of around 68 degrees which is ideal for partaking in the area's outstanding recreational activities. Here you can enjoy a day of hiking, walking the beautiful greenbelt parks, salmon fishing or gold panning! You can explore Portage Glacier, cruise Prince William Sound, or take a dinner cruise in the Kenai Fjords. 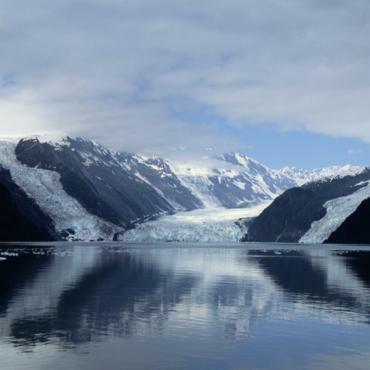 If glaciers are on your agenda, don't pass up on Whittier and the 26 Glacier Cruise in Prince William Sound. Mid morning departure on the Alaska Rail road to Seward. The small coastal town of Seward is known for its scenic views, numerous visitor attractions, and as the gateway to Kenai Fjords National Park. Seward is located about 125 miles south of Anchorage, about 3 hours by road. The town is the southern terminus of the Alaska Railroad, dating back to its origins in the early 1900’s. Seward has over 3,000 year round residents, however that number swells considerably during the summer visitor season. The town is famous in Alaska for its Fourth of July celebration that features a gruelling foot race to the top of the 3,000 foot Mt. Marathon. 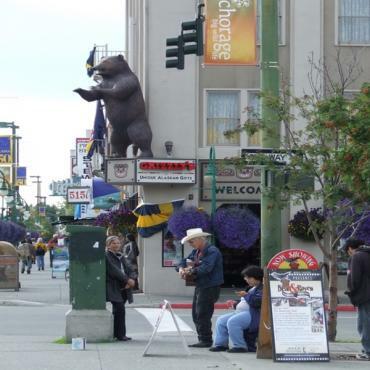 You won’t be disappointed with Seward’s fine selection of shops, restaurants and lodging choices. 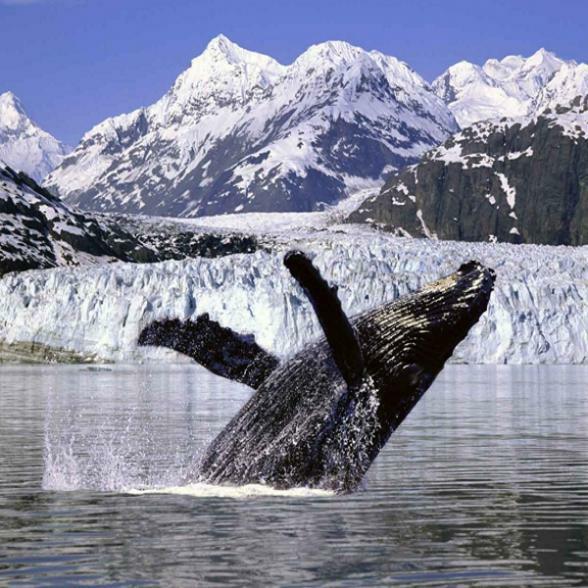 Today you have a six hour wildlife and glacier cruise before heading back up to Anchorage for your overnight stay. Depart Anchorage for Talkeetna on the Alaska Rail Road. Upon arrival in Talkeetna you will enjoy a two hour riverboat tour. The historic village of Talkeetna is nestled at the base of Mount McKinley (Denali), North America's tallest peak. Talkeetna has an outstanding panoramic view of the Alaska Range that can be enjoyed and photographed from several places as you wander through this town and discover what this unique location has to offer. Flightseeing, fishing, riverboat tours, hiking, nordic skiing, mushing, mountain climbers, great lodging, great people. Talkeetna is a place to enjoy no matter what time of the year. Board the Alaska Rail Road onwards to Denali, with the remainder of the day at leisure. 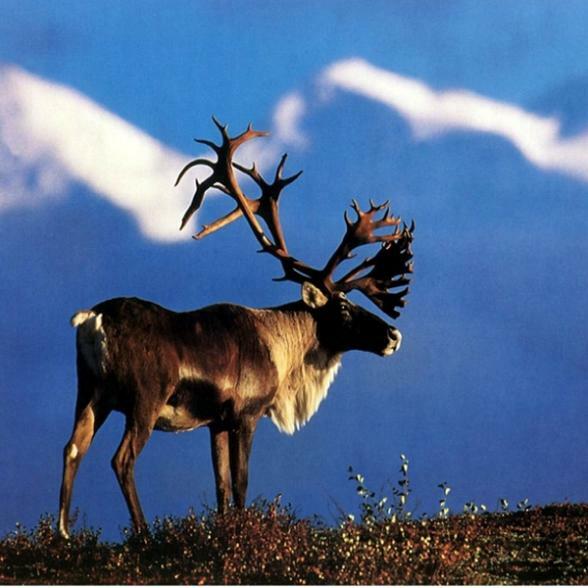 Denali National Park and Preserve is 6 million acres large, that's larger than the State of Massachusetts. Denali’s dynamic glaciated landscape supports a diversity of wildlife with grizzly bears, caribou, wolves, Dall sheep and moose. Summer slopes are graced with birds and wildflowers. 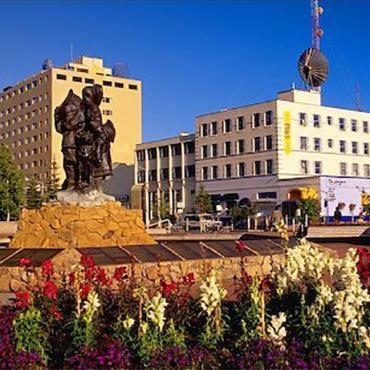 Visitors enjoy sightseeing, backpacking, mountaineering, and research opportunities. 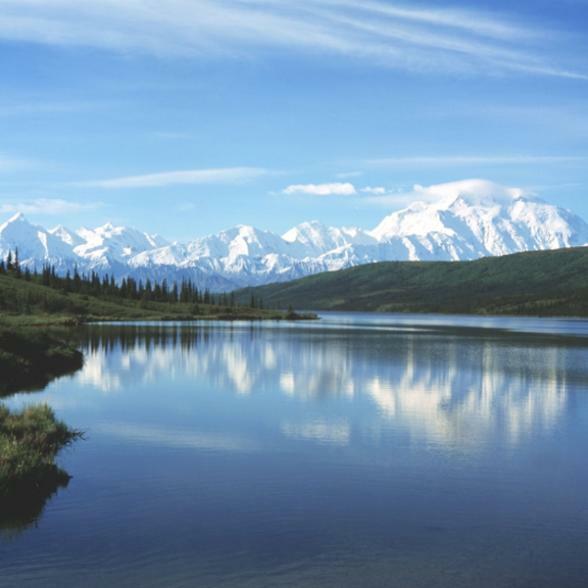 Whether climbing or admiring, the crowning jewel of North America’s highest peak is the awe inspiring 20,320 ft Mount McKinley. This morning you have a seven hour coach adventure into the Denali National Park. Then transfer back to the station for your rail trip onwards to Fairbanks. 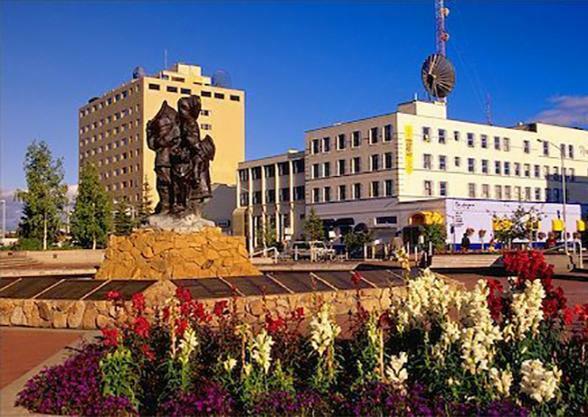 Fairbanks is called The Golden Heart of Alaska, a reference to the character of her people as much as to the location in Alaska's interior, or to the discovery of gold in 1902. Because it is just 188 miles south of the Arctic Circle Fairbanks will have very long summer days. The shortest winter day of the year has less than three hours of sunlight, the longest (around June 21) never really ends, though officially it has over 21 hours. 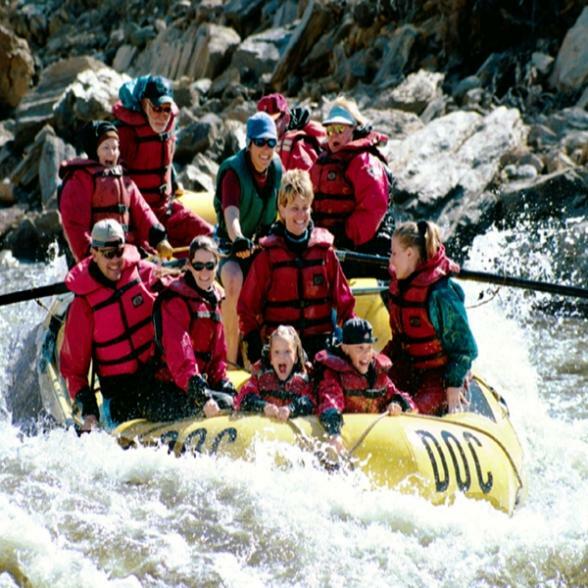 Today you have a sightseeing tour of Fairbanks followed by a riverboat tour. This morning you will travel back from Fairbanks to Anchorage on the Alaska Railroad enabling you to see any sights you may have missed. Today, it's time to head home. 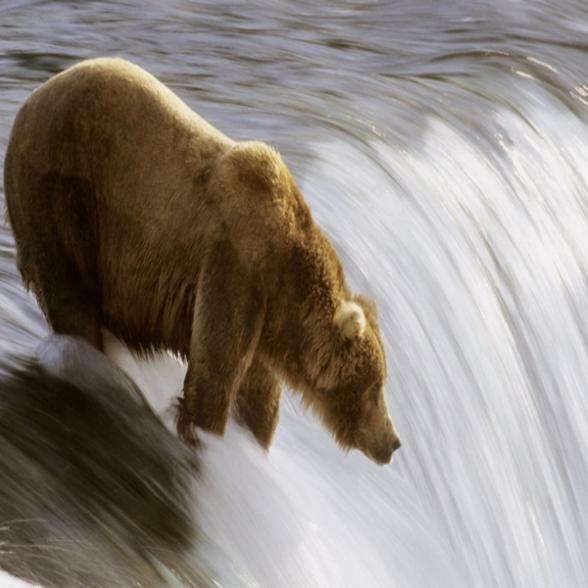 Perhaps you want to extend your time in Alaska and relax in an Alaskan wilderness lodge or spend time cruising the Inside Passage down to Vancouver? 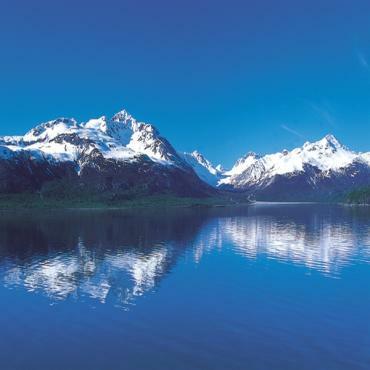 Call the travel experts at Bon Voyage to discuss your Alaska Rail holiday.